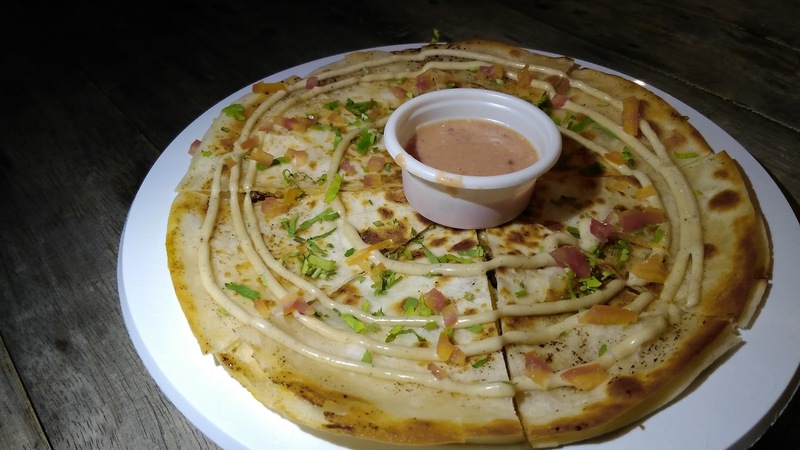 Looking for a food hub in Pasig? 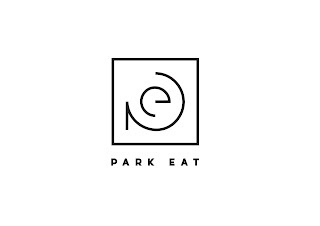 Park Eat offers a lot of food choices to satisfy your tastebuds and your tummy. One of the treats you can enjoy include Filipino-Mexican concoctions from Kitchen Chong. Kitchen Chong is on the right corner of Park Eat from the entrance and right beside Tamari Modern Asian Bistro. These two have the most colorful stalls and menus in the food park. One of the first things we enjoyed from Kitchen Chong was the Quesadilla (Php155) which had a delicious dipping sauce. We loved the slightly toasted edges which gave it a crunchy texture while the inside of the quesadilla remained soft and chewy. 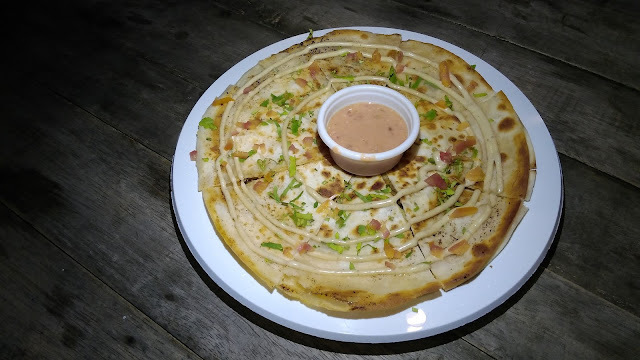 A tasty serving of quesadilla! This was one of our favorites and we actually finished the whole plate! 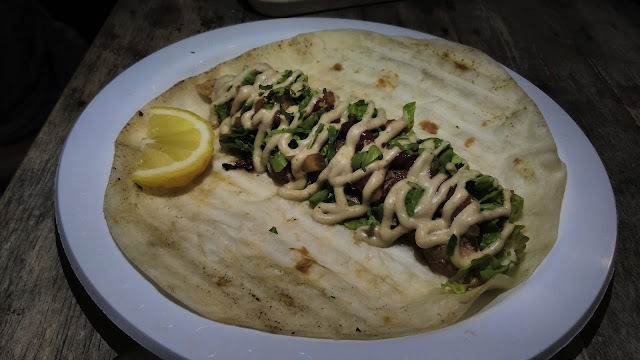 Another treat in a wrap is the Chicken Chipotle (Php165). If you want a quick protein boost, go for this one. The tender chicken strips with the refreshing chipotle sauce is a sure winner. Drizzle with some lemon juice for a tangy kick and wrap everything up. Then enjoy each and every delicious bite. You can get this with beef instead of chicken. 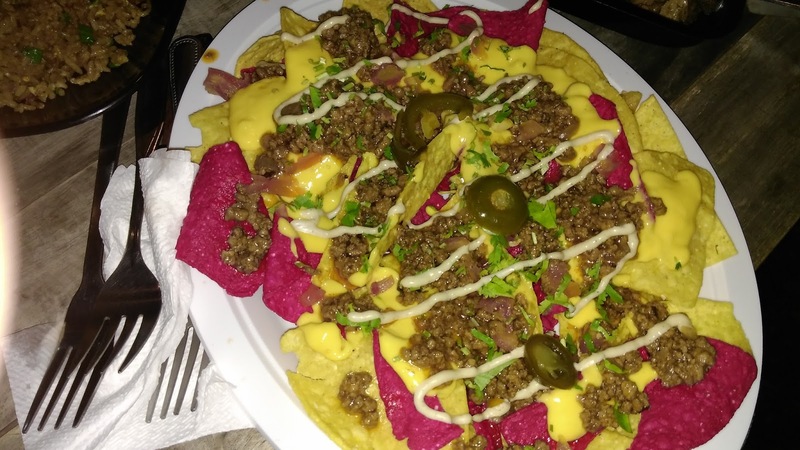 If you're talking Mexican food, Nachos (Php165) will always be on the menu and Kitchen Chong serves a hefty plate without scrimping on the toppings. Ground beef, jalapeno peppers, mayo and cheese are all present on this classic treat. It's full of flavor and a bit on the spicy side so if you're kryptonite is chili and pepper like me, better have a glass of water handy. Beverages also have a place on their menu. 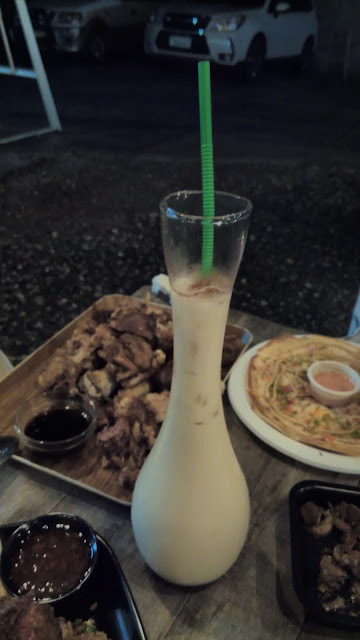 One unique drink we tasted was the Horchata (Php40/glass, Php200/pitcher). This traditional Mexican beverage is mild-tasting and made from almond milk and rice with a simple syrup for sweetness. If you want to just chill out with food, I suggest you order the Horchata with your favorite wrap or quesadilla and just lazily munch and sip your way to gastronomic heaven. 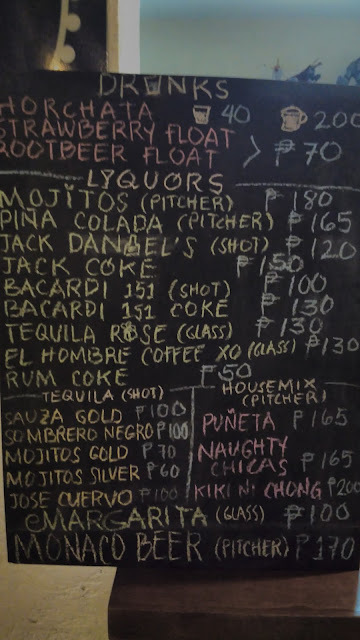 There are many more beverage options to choose from, from the innocent Strawberry Float to the traditional bar favorites. We got to try out the Monaco Beer (Php170/pitcher). I don't quite like the taste and aftertaste of beer but this cherry-flavored take on beer makes me want to take more than one sip. Kitchen Chong is the brainchild of the multi-talented JC Ganibe. How multi-talented? He does make-up, prosthetics, hair styling, Parkour, is a regular at his local gym and loves to travel. Lucky for us foodies, he's also talented in the kitchen! His love for Mexican food is what inspired him to create the many delicious dishes for his food stall. He blends the unique beverages too. 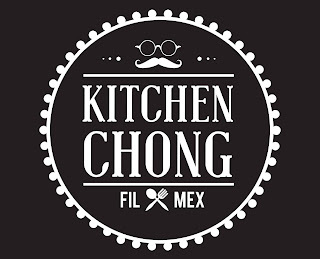 Want to taste more Fil-Mex treats from Kitchen Chong? 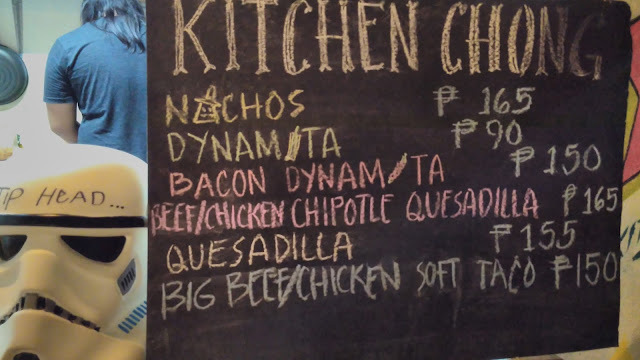 Head on over to Park Eat at 11 M. Eusebio Ave., Brgy. San Miguel, Pasig. Check out Kitchen Chong's Facebook page for updates on their delicious offerings! Visit the Park Eat Facebook page for more updates.